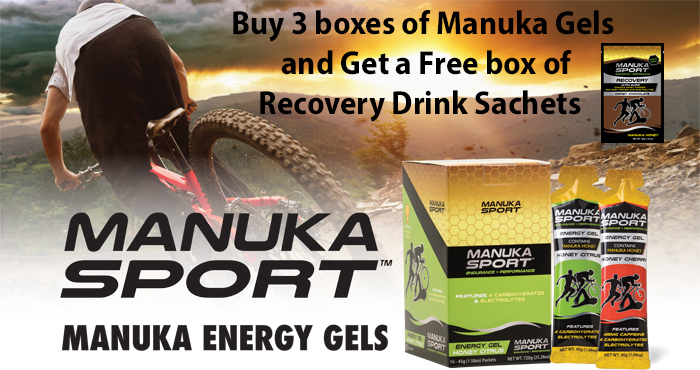 Manuka Sport Endurance + Performance is a new brand focused on delivering 100% all natural, great-tasting products. Their energy gel has taken several years of development, testing, and field trials, to ensure it provides the highest quality of energy during exercise. We are now stocking the new Manuka Sport range including their unique Hydration + Energy drink and Recovery drink, which both contain Manuka Honey Powder.